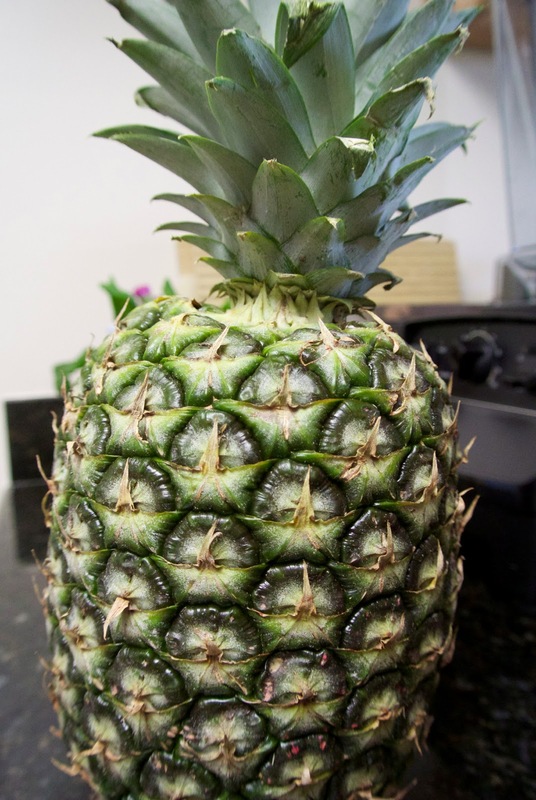 Pineapple is a staple of many of my smoothies, drinks, and even salads. 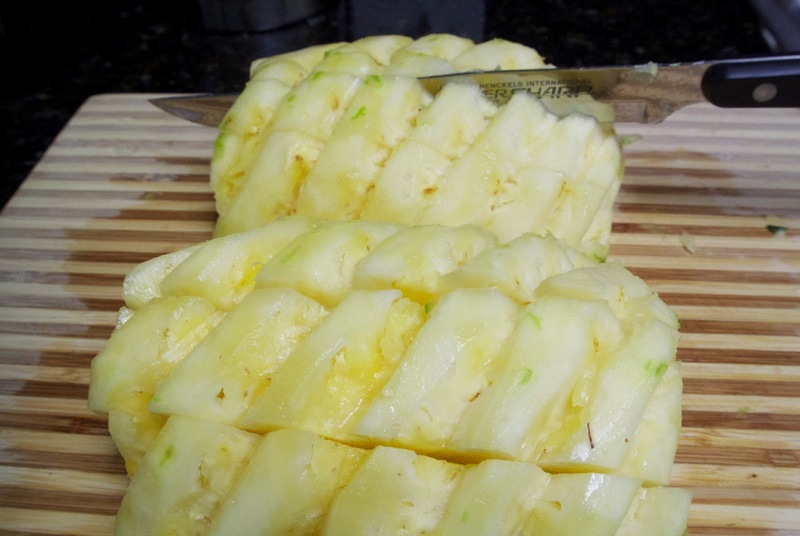 As such, I cut at least one pineapple every week, if not two. 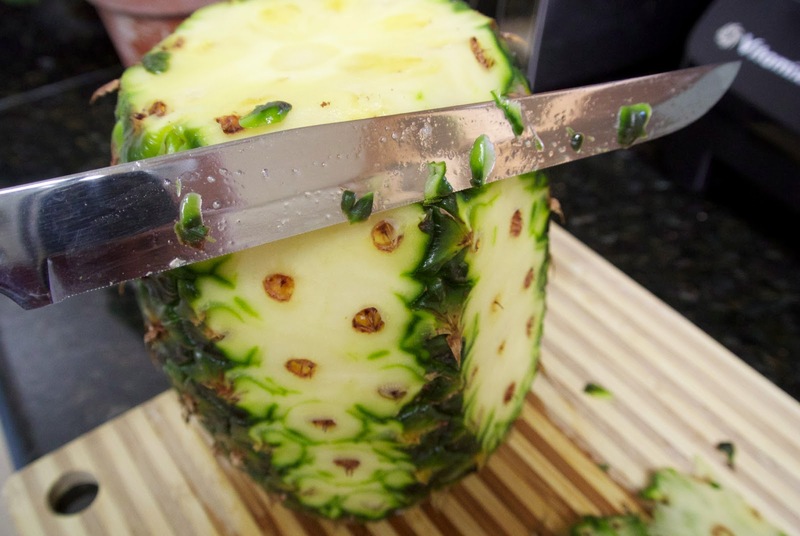 Let me tell you, there is a right and wrong way to cut a pineapple. 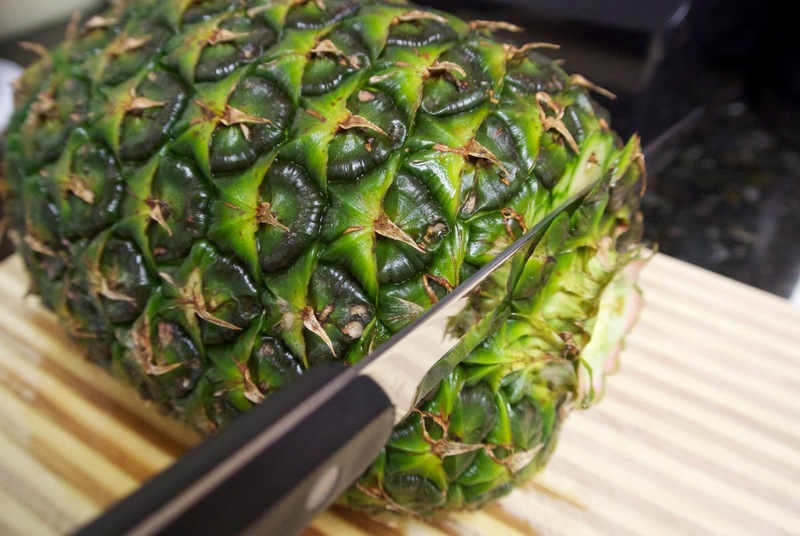 The technique I see most people use (basically make deep cuts to the pineapple to get rid of the skin in a few short steps) is pretty wasteful. 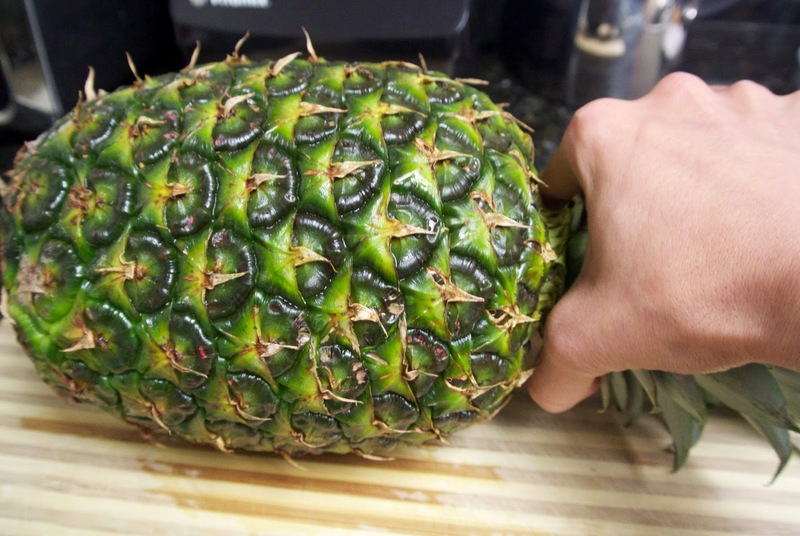 I learned the technique below from several "fruit" masters - it essentially reduces pineapple wastage, and also ensures that you get rid of all of the parts of the fruit that cause some people "itchy mouth". 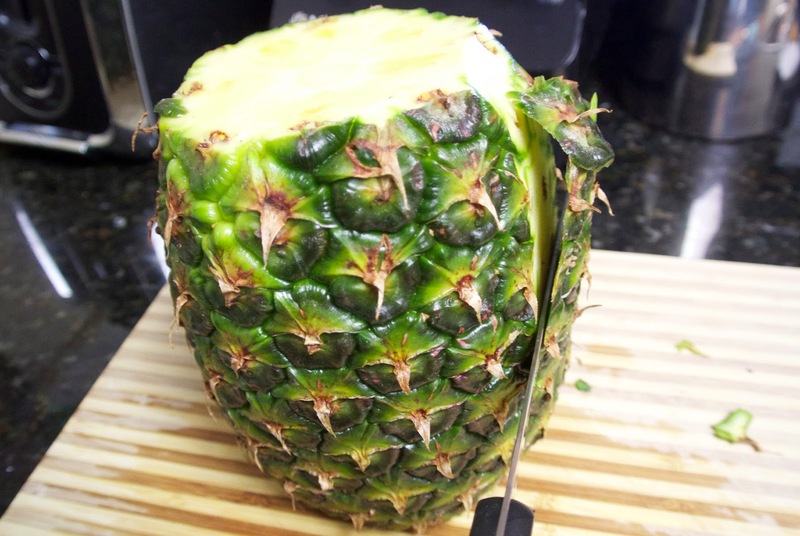 Also, while I didn't include it in the steps, you can slather the pineapple with a bit of salt - that tends to really get rid of the itchies. Enjoy! 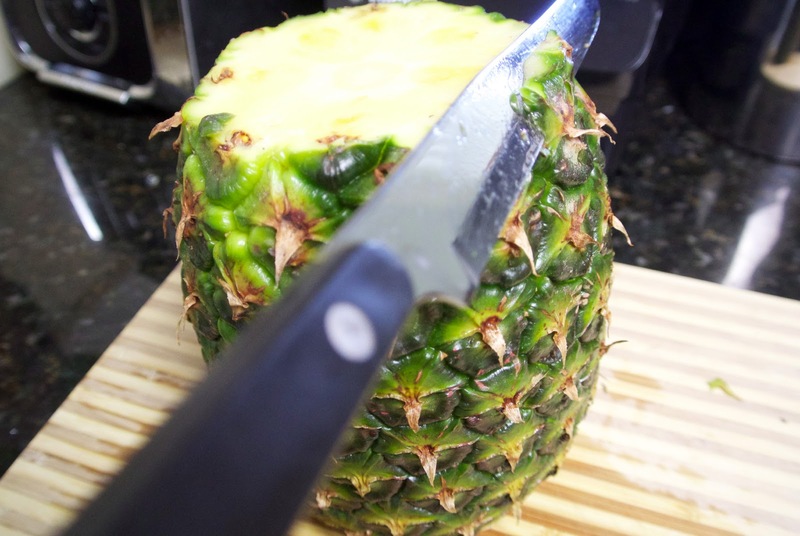 out initially and then have your knife go straight down the sides. 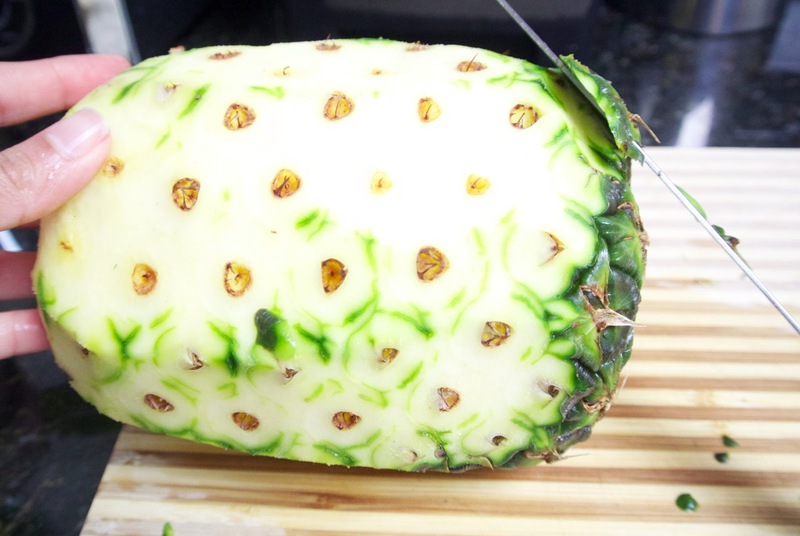 Your goal is NOT to remove the little eyes of the pineapple - it is simply to get rid of most of the green skin. 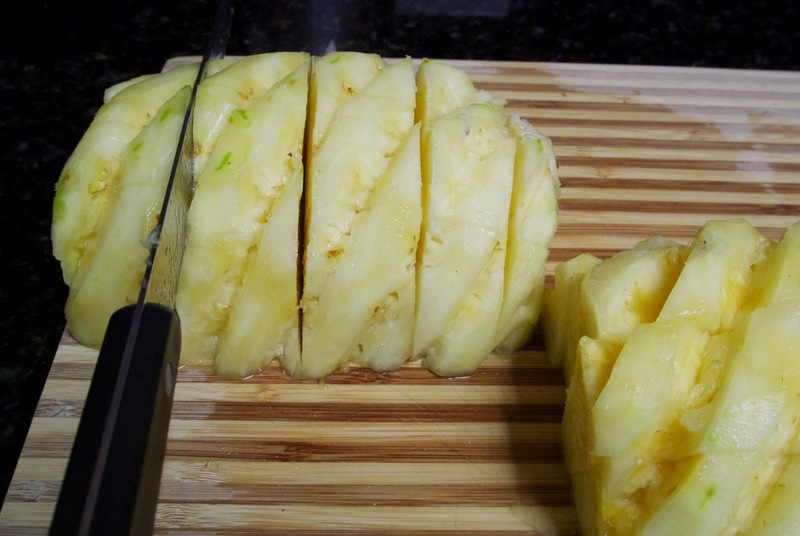 As you cut, you will have to go back and make the same cuts you did in step 4, but for the edges of the pineapple. 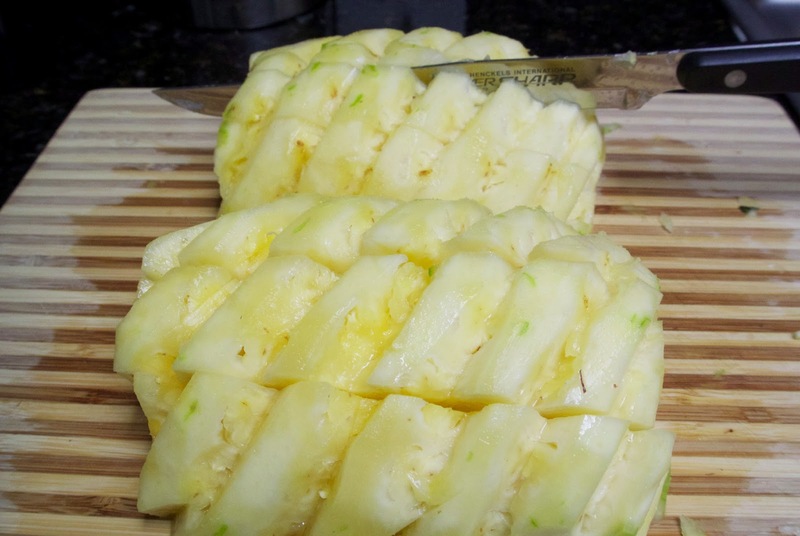 Now for the eyes, set your knife above any two or three eyes and cut inwards (at a diagonal). Do the same thing under the same eyes you cut above. 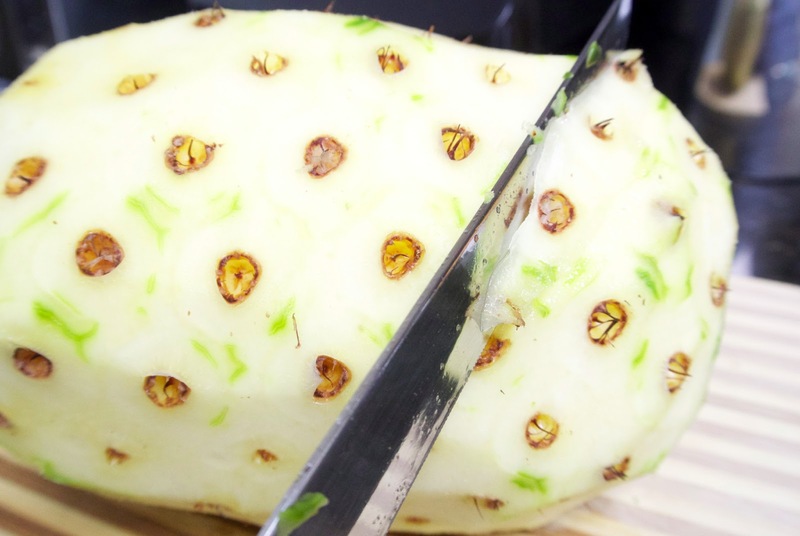 The top and bottom cut should allow you to pop out the eyes via little wedges that you create via the cuts. 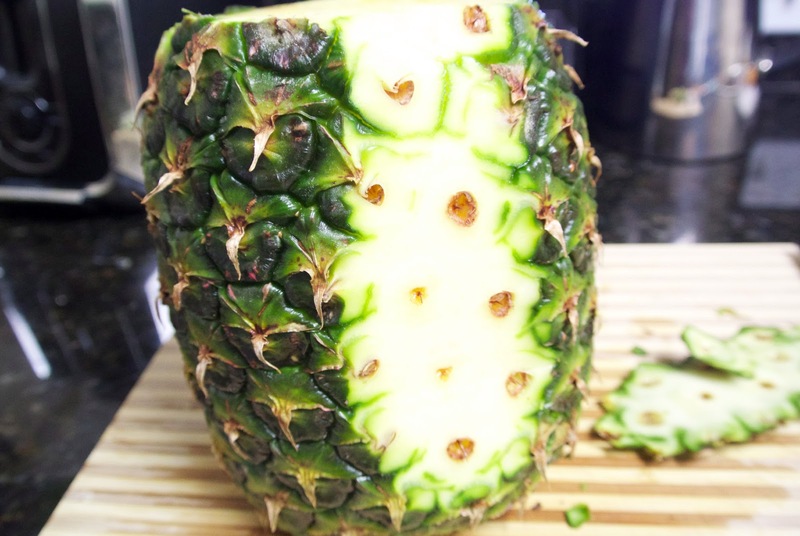 This is what your pineapple will look like when you're done cleaning it - looks kind of artsy doesn't it? 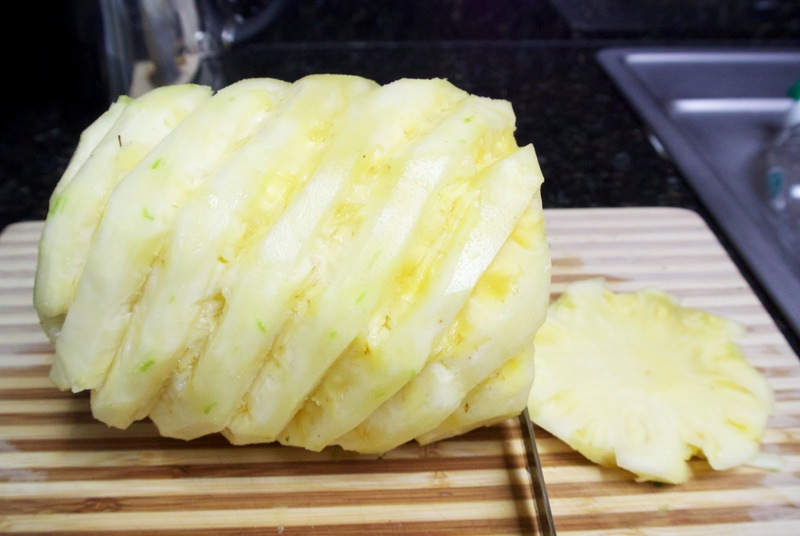 Now cut your pineapple how you like. 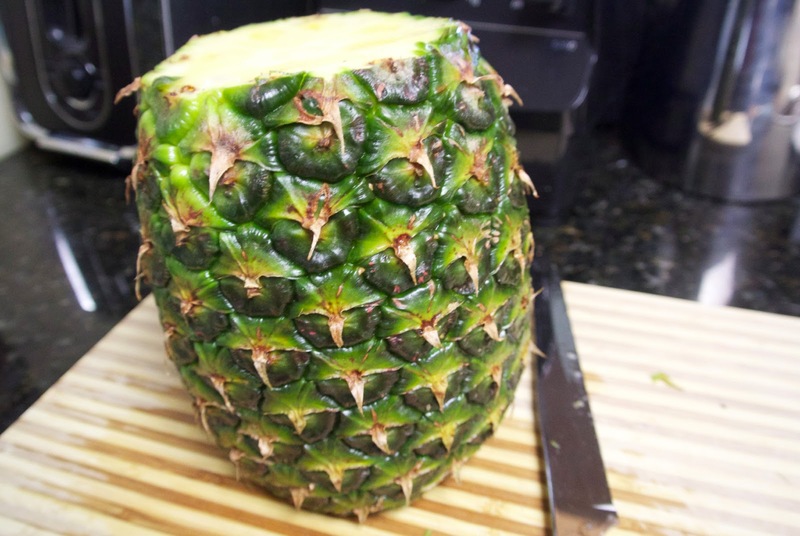 I make a ton of smoothies so I simply cut long wedges of pineapple and refrigerate them in a sealed container. 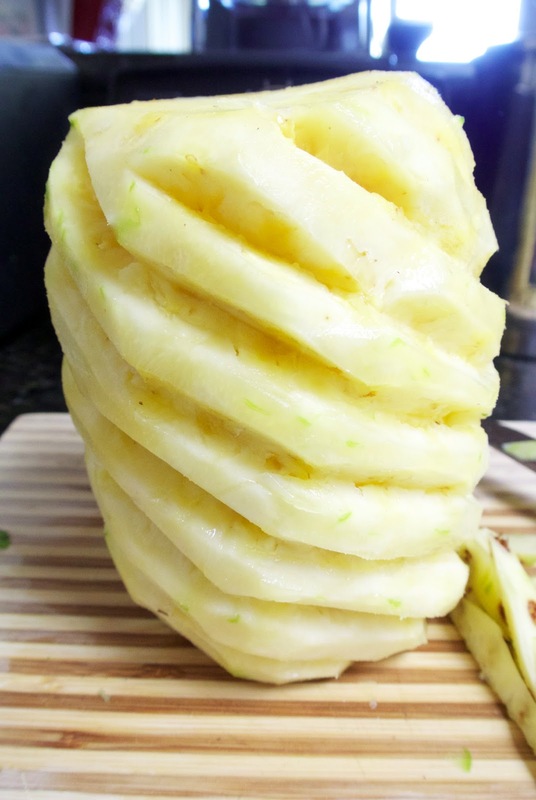 Alternatively you can cut circles or wedges via strategic vertical and horizontal cuts.